Almost all of you might have heard the well-known proverb that “Size Matters”. But after reading this top ten ranking, you will start believing that sometimes size does not matters. Presently, there are 196 countries in the world based on the reports of the United Nations and some other reliable organizations. What’s more interesting is the fact that the economy of some of the smallest countries in the world which are more like Islands is better than some of the largest countries in the world. Most of the countries which I would be sharing with you are so small that their names cover more area the map than the whole country itself. Most probably, you would have never heard about these countries before. Surely, these countries are not given the levels of importance which they rightly deserve. This fact can be understood by asking anyone that which is the largest country in the world. Most of them would answer within the blink of the eye. But that would not be the case with some of the smallest countries in the world. In terms of economy, most of these countries depend upon the tourism sector and external aid in order to carry out their functions. So, let us take a look at the top 10 smallest countries in the world 2012. At number 10 we have the country which is located in the Northeast direction of the Madagascar Island. In terms of size and population, this country is the smallest among all the countries located in Africa. Seychelles covers an area of nearly 452 square kilometers and accommodates a population of more than 80,000 people. It also has the highest human development index in the whole of Africa. The economy of the country relies a great deal upon the capital earned through the tourism sector, which employs more than 35 % of the population. The country exports many agricultural products like cinnamon, vanilla, sweet potatoes, canned fish and many other items. In its initial days it had remained under the control of the British Government, but now is a completely independent country. With an area of nearly 298 square kilometers and with a population of 330,000, at number 9 we have the paradise known by the name of Maldives. It is located near the Indian Ocean forming a chain of various Islands. Since the times of its origination, it had remained under the control of British, Portugal and Dutch Rulers. Unlike most of the smallest countries in the world, Maldives has very efficient security forces. The forces include the Coast Guard, Marine Corps and various task forces who are responsible for the security of the country in the times of emergency. According to the report published by the Ministry of Tourism, the growth of the tourism sector in the country had totally transformed all the levels of the country’s economy in the year since the year 1972. Not to forget the nearly 72 resorts located in Maldives. 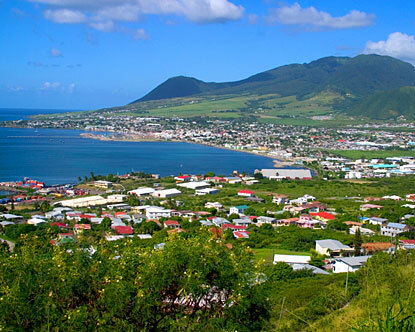 Located in the areas of the Leeward Island, at number 8 we have the Federation of Saint Kitts and Nevis. 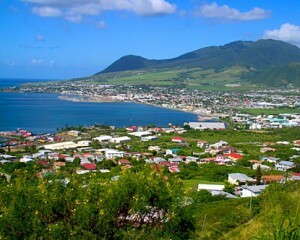 This country is more like a composite of 2 islands, the larger one is known as St. Kitts and the smaller one is known as Nevis. These Islands are also some of the first Islands that were initially settled by the foreign invaders and other European nations. At the same time, it has also remained under the influence of the British Colonial forces. The economy of this country is marked by tourism, lighting industry and manufacturing of certain exports. In the past few years, it has witnessed a multifaceted growth in all its sectors including the banking, telecom, industrial and agricultural. The GDP of the country is nearly $ 1 billion based on the amounts earned through tourism and some other sectors. 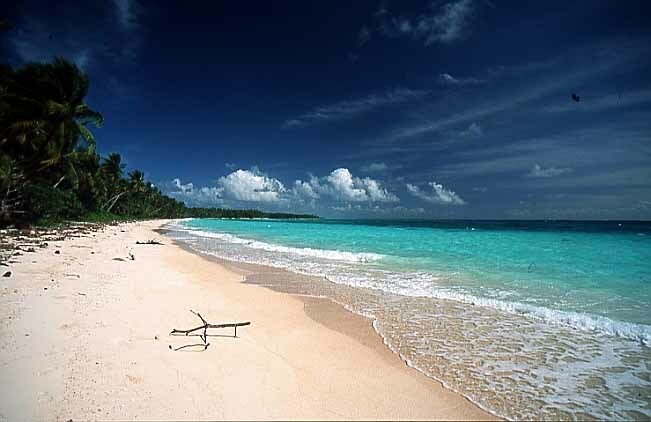 With a total area of nearly 181 square kilometers, The Marshall Islands has made it our number 7 spot. Just like most of the Islands, this independent country had also remained under the rule of the Spanish and British monarchies. Officially it is known by the name of The Republic of Marshall Islands. As the name suggests, this country is more like a chain of 1,156 individual islands. The total population of this country is nearly 68,000. In times of the World War II, this country was under the control of the Japanese who considered it an important military strategic point. It is also believed that it also served as the administration center in the times of the Pearl Harbor Attacks. In the years following 1946, The United States of America had used this site in order to carry out various nuclear tests as at that time it was not an independent state. 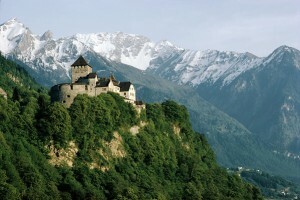 At number 6 we have the bi sided land locked country known as Liechtenstein. The area of this country is nearly 160 square kilometers, thus making it the smallest German Speaking nation in the whole world. Amazingly, Liechtenstein happens to be the richest country in terms of the GDP per capital. It is also the only country which is completely encapsulated inside the areas of the Alps. There are a number of international companies and firms located in this country. Most of the revenue for the country is earned from the taxes and shares from these companies. Not to forget the role of tourism in the economy, as Liechtenstein is known all around the world as one of the most spectacular winter sports site. The majority of the people living in this country are Christians. Known by the name of The Republic of San Marino and with an area of 61 square kilometers, this country has made it our number 5th spot. The population of this country has been estimated to be nearly 30,000. Nearly 60 % of the country’s economy is dependent on the sector of tourism. In order to further strengthen the economy, the government of the region is investing a great sum of the country’s GDP. 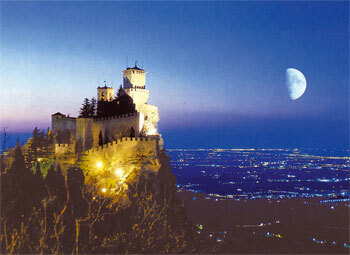 The GDP of San Marino is around $ 1.17 billion with a per capital rate of $ 35,928. This country had remained quite controversial in times of the Second World War, as it was believed that it had declared war on many of the areas of the United Kingdom. However, San Marino had always remained neutral, especially in the world wars but still many of the countries look at this place with a suspicious eye. Formerly famous by the name of Ellice Lands, at number 4th spot we have Tuvalu. The total area occupied by this country is nearly 26 square kilometers, thus making it one of the smallest countries in the region. 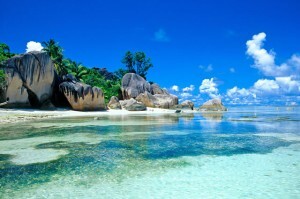 Nearly 4 reef islands constitute this country with a population of nearly 10,544 people. The Polynesian people are believed to be the ones who had settled this isolated piece of land. In terms of tourism, the island known by the name of Funafuti is the focal point of attraction for all the worldwide tourists and visitors. 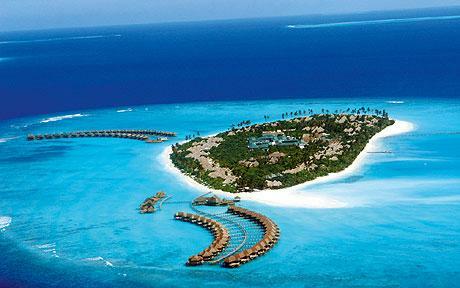 All around the island you can easily find a number of top class hotels and restaurants. Till the year 2002, the economy of this country had been the best among all the pacific islands, but afterwards it had also come under the influence of the worldwide economic meltdown. 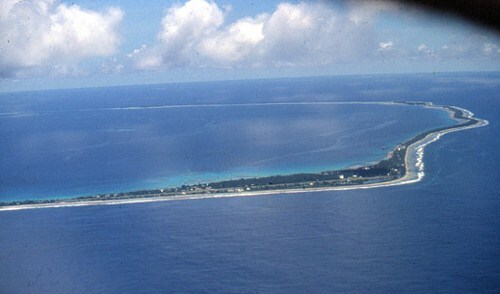 Being the second least populated country in the world and with an area of 21 square kilometers, The Republic of Nauru had made it to the number 2nd spot. It was also known by the name of Pleasant Islands a few decades back. In the early 1960,s this country had the highest GDP per capital among all the sovereign states of the world, but now the opposite seems to be true. The economy of the country is not that stable like it used to be in the 70’s and now the authorities are forced to accept aids from some of the nearby countries. Unlike most of the other Islands, the tourism sector is not a major contributor towards the economy of the country. For this purpose, the authorities are investing a lot in order to enhance and encourage the inflow of the tourists. In addition, there are a number of ethnic groups that are located on this Island country. Under the control of the constitutional monarchy, at number 2 we have the country known officially by the name of Principality of Monaco. 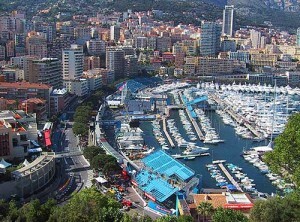 Located in the French Rivera and with a population of 35,986, it is the most densely populated country in the world. The head of the state is the monarch named Prince Albert II. The major fragments of the population are marked by the French people, Italian, British, Belgian and Germans. The official language of the region is French. The major reason behind the huge inflows of tourists and gamblers from all around the world are the exotic casinos which are found in abundance in the area. What’s more surprising is the fact the national citizens of Monaco are themselves not allowed to try their luck in the casinos which is indeed very strange. With an area of 0.44 square kilometers and less than 1000 population, Vatican City is the smallest independent sovereign state of the world. Being a party ecclesiastical and monarch state, Vatican City is under the rule of the Bishop of Rome. The economy of the city relies in the amounts earned through museums, sales of stamps, embassies, medals and some tourist mementos. 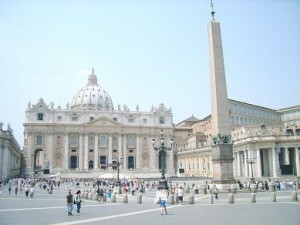 Vatican City also happens to be the most famous center of worldwide arts. 2 Comments on "Top 10 Smallest Countries in the World 2012"
What about the principality of Sealand?